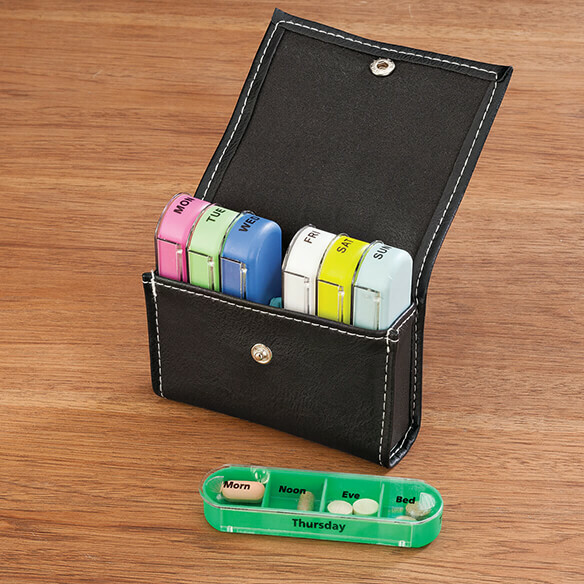 Stylish leather-look case on the outside; up to 7 daily pill boxes on the inside! Perfect for travel, you can insert only the days you need into this 7-Day Pill Organizer and tote this fashionable little case in your purse or carry-on. Don't spill as easily when in purse or pocket as other types. It is so easy for me to get my medicine out and to carry with me. small enough to take on a week's vacation or yo carry in mypurse.